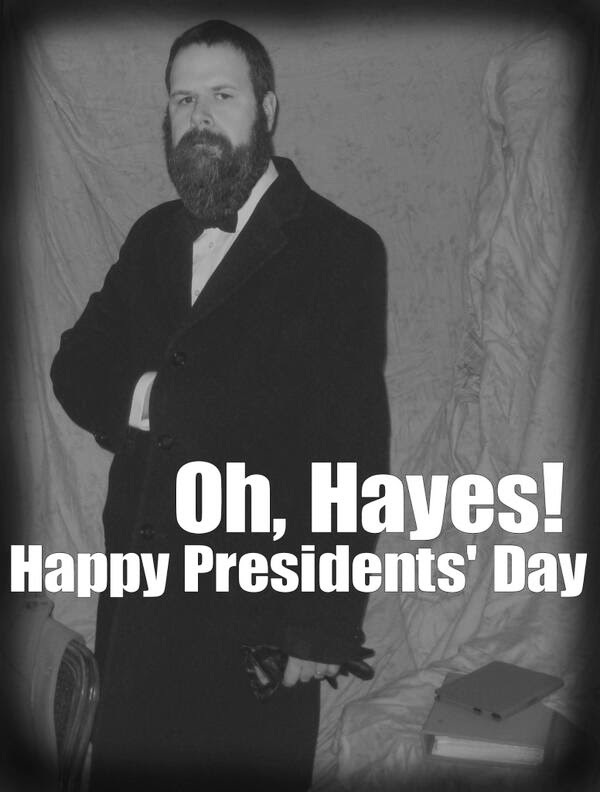 Teacher With Tuba: Happy Presidents' Day! A few years ago, I decided that I needed to bring fun back into my classroom. All of the pressure to perform on the test, direct instruction initiatives, and fidelity to adopted curriculum was pushing the joy out of my classroom. I happened to grow a winter beard that year and it needed some trimming by mid-February. 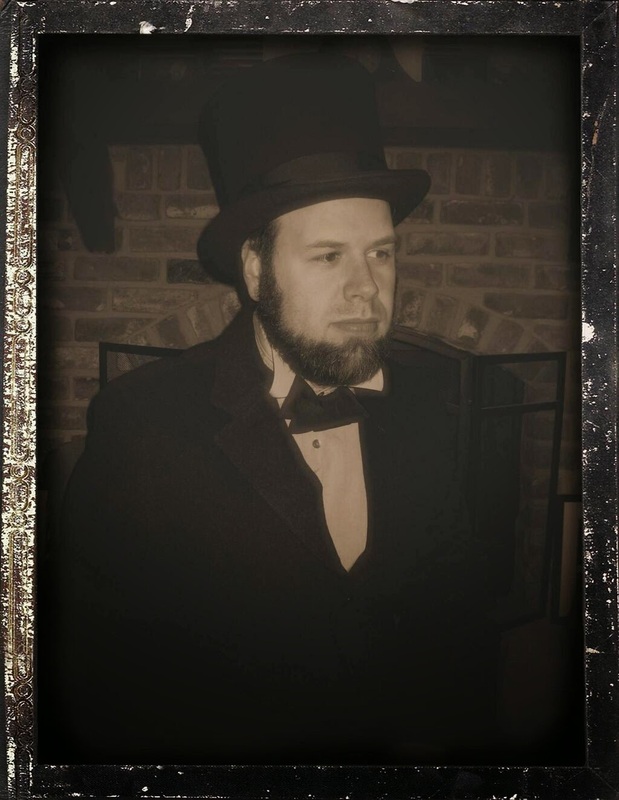 Since Presidents' Day was just around the corner, I decided to ditch the moustache in favor of Abraham Lincoln's famous chinstrap. Next thing I knew, I was wearing my top hat and posing for pictures to share with my students. They had a laugh at my expense and it sparked some conversations about U.S. History. A fun tradition for my classroom was born. Each year since, I've been growing "facial hair of the presidents" to celebrate the big day in February. 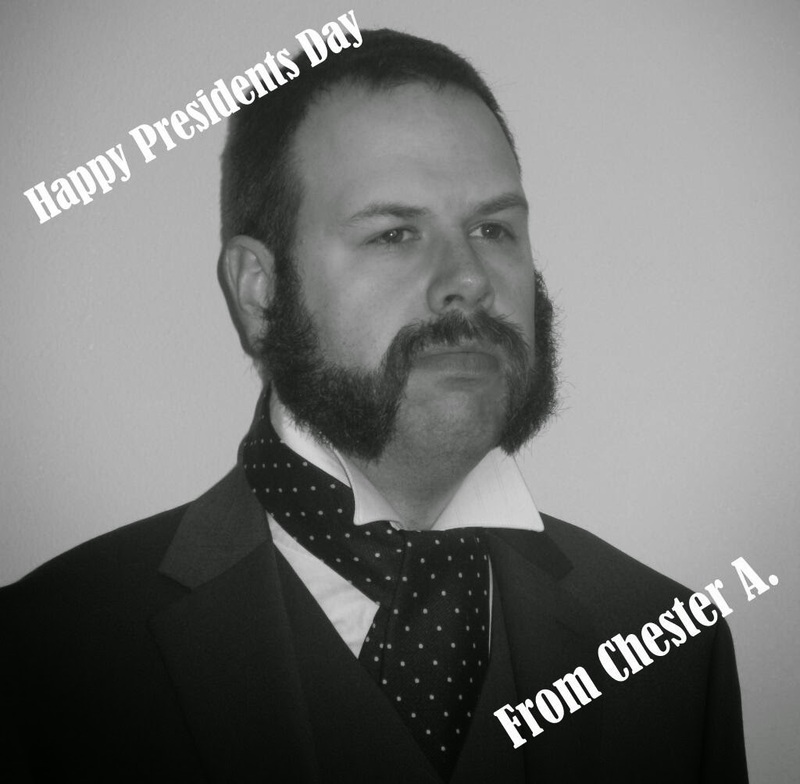 Chester A. Arthur's friendly sideburns followed Lincoln. 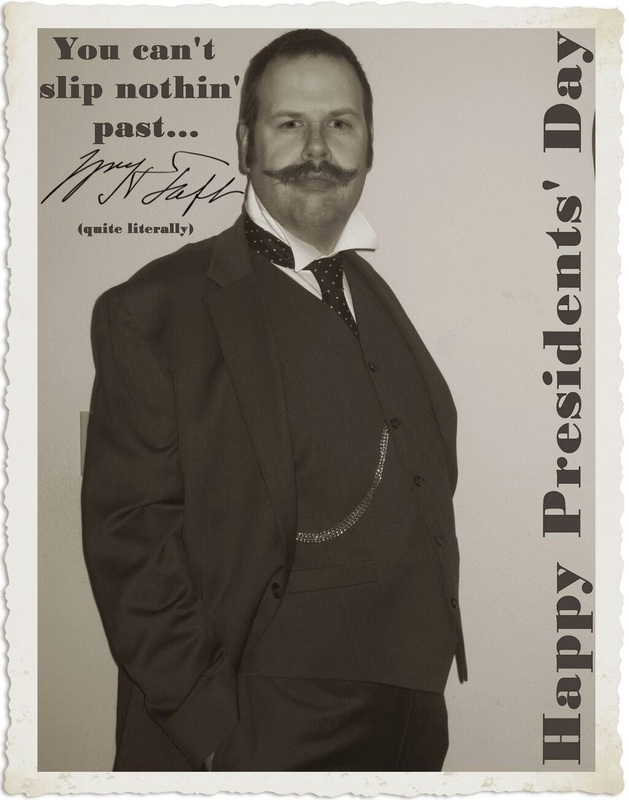 Then, last year, a friend sent me an inspiring article about a high school student who took photos as all of the presidents. I knew I had to go for it, but I would keep my pace of one per year. A little calculation made me realize I would be in my seventies by the time I finished. I want to complete this project before retirement, so Rutherford B. Hayes and William Howard Taft ushered in an era of double duty for me. 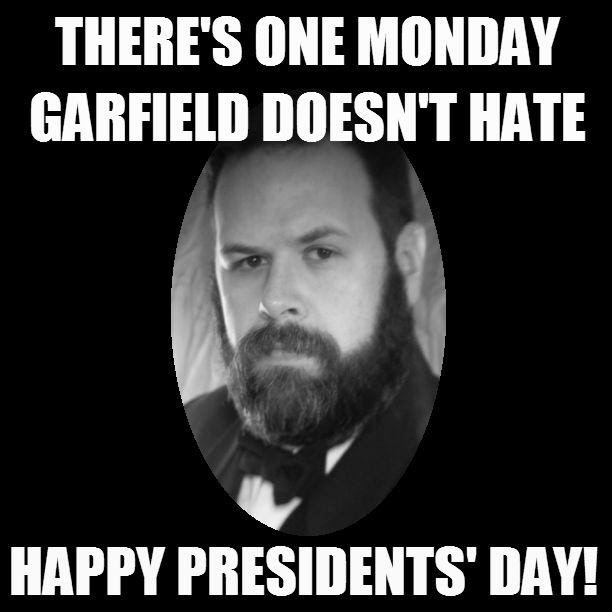 This year's portraits of James A. Garfield and Theodore Roosevelt probably mark the end of bearded and mustachioed presidents for awhile. 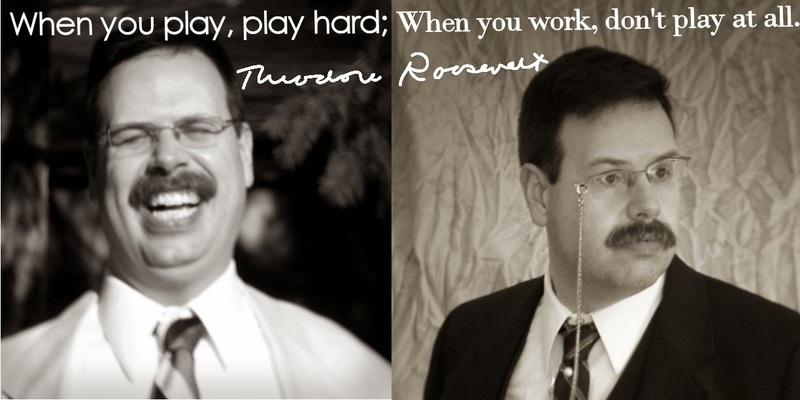 We'll all have to wait for next year to see how I do at clean-shaven presidential impersonation. Thanks Cindy! I sure have fun with it. This is spectacular! What a cool tradition to share with your students. Thank you for sharing! Thanks for the comment, Amy! I look forward to it all year (or at least since I start growing the beard in November).